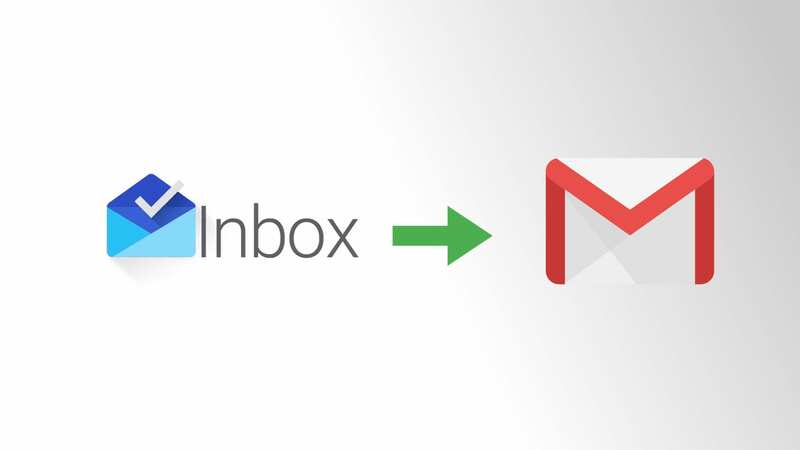 The demise of Inbox is being felt across the internet this week as both Google+ and Inbox were officially shut down as of April 2nd. This wasn’t a surprise to anyone, but the finality of Inbox officially being gone still hurts. For many users like myself, Inbox was simply a better way to handle and deal with email. Not OK with being just another facelift, Inbox presented your emails in a way that was both unique and useful at the same time. While I’ll miss it along with the millions of people who used it, I’m also part of the world that is moving on without it and I need to find solutions that make email management less painful along the way. Today’s solutions do that to an extent, but they do it from the purely-aesthetic level. You see, part of Inbox’s appeal was the simplicity of the layout. Where Gmail feels cluttered and busy even in its new form, Inbox felt open and breathable. Sure, there were functional additions like bundles that Inbox introduced that change the way you wrangle messages, but part of Inobox’s magic was just the cleanliness of the UI. Enter Simplify Gmail and Inbox Theme for Gmail. These two extensions can return some zen to your Gmail inbox and help ease the transition back to Gmail if that is the way you are headed. The first extension – Inbox Theme for Gmail – does exactly what you’d expect: it themes your Gmail inbox to look just like Inbox did. You can see in the before and after pics below that this is the quickest, simplest way back to the general feel of your Inbox, er, inbox. Don’t be fooled, however, as the bundles and general folder handling from Inbox is not present, here. This is simply a clean, familiar look for Gmail as you transistion back. The second extension – Simplify Gmail – is actually made by one of the co-creators of Inbox. Though he has moved on to other projects, his desire for a simplified email experience is clearly still intact. With this extension being made by one of the people responsible for Inbox in the first place, I’m a bit more inclined to leverage this solution over the first extension we talked about. 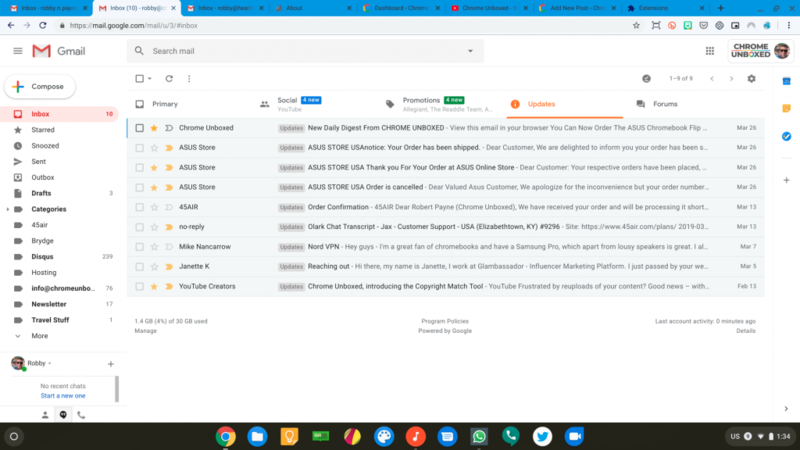 Though Simplify Gmail works in much the same way as the Inbox Theme for Gmail extension, you still have the ability to leverage themes and most work just like you’d expect. Overall, the extension just cleans up the cluttered, busy interface that is Gmail. In my opionion, I think Google should just adopt this layout and give users a choice to go back to the old version if they choose to. It is that good. I’ve dropped before and after shots below for this extension as well and I can confidently say that this one will be staying installed on my Chromebook indefinitely. I love the clean layout and checking email feels less claustrophobic than the standard Gmail experience. These solutions may not bring Inbox back from the grave, but they do go a long way to bringing some of the benefits that Inbox offered from a UI and layout standpoint.